A couple of years ago, I visited Mysore for a few days for work and it happened to be around the time of Dussehra. I was all set to leave a day before the festival began and visit my hometown, when something unexpected happened at the workplace and my client extended my stay by a few days more. Not very happy with canceling my flight, I prepared myself to get through the holiday period. Little did I knew then, that an accidental stay-over would end up becoming a memorable trip! Dasara, as the locals say, is the most important festival celebrated in Mysore. Having no friends or company in the city, I decided to make the most of my stay and experience the festival first hand. The celebrations start from the first day of Navratri and go on for nine days, transforming this otherwise serene city into a luminous and dazzling spectacle, with every corner illuminated with bright lights and festive decorations. In the spirit of being adventurous, I stepped out and decided to explore the city all by myself. Apparently, Dussehra started as a cultural celebration about 400 years ago, initiated by the Vijaynagara emperors. Later after the Wadiyar Kings overthrew the empire, they continued the tradition as a way of celebrating their freedom. Even till data, a Royal Durbar (or the Dasara Durbar) is set up at the grand palace, where the current symbolic king of state holds court during the festival. He dresses up in his royal garb and takes the throne accompanied by a ceremony. This is then followed by music performances at the court. Now, since these events are only for an elite and exclusive audience, I, as a common man, had to be content with narratives from friends describing the royal opulence of the inner palace. A tour of the Mysore Palace in the evening made up for missing the royal durbar. I had visited the Mysore Palace years ago on a school field trip. But this was class apart. The already gorgeous facade was illuminated with a million lights! 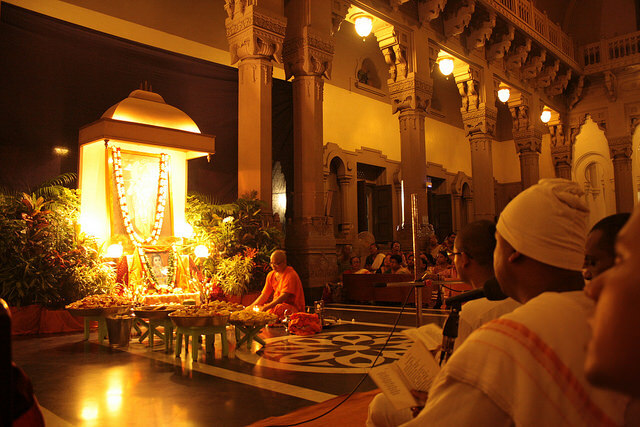 Outside, on the courtyard there was a special music performance by an eminent Carnatic classical artist. There were throngs of people at the palace and there was much laughter and gaiety in the air. Work was intermitted and I spent most of my time walking the streets of Mysore or checking out nearby areas of interest. I booked a taxi in Mysore and visited Kabini backwaters as well as Bandipur. Finally Vijaydashmi arrived and I was excited to be able to witness the festivities of the final day of Dasara. The day started with a royal procession from the Mysore Palace. 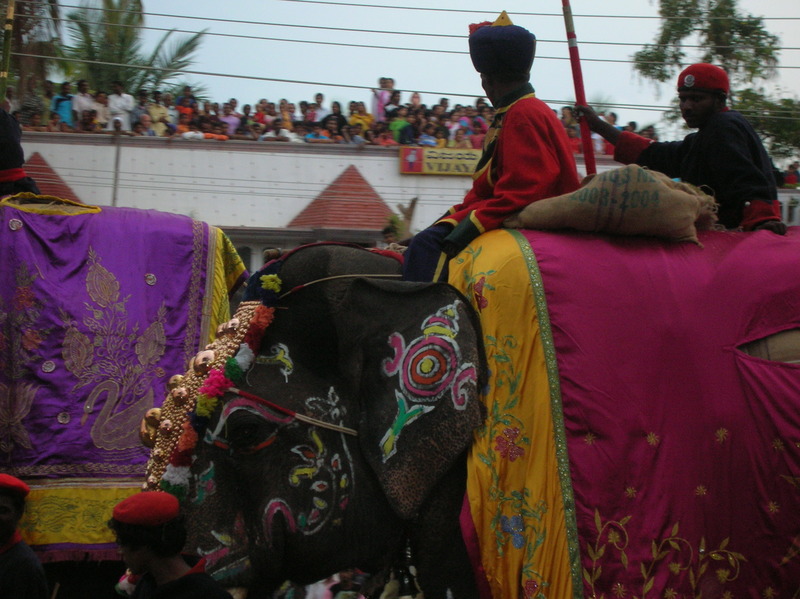 The procession is aptly called the Jambu Savari, and is led by 12 elephants, groomed and dressed in colorful garb and gold, followed by troupes of folk dancers, singers, musicians, and at least 40 tableaux depicting the history and legacy of Karnataka. For a moment I felt like I was back in the days of kings and queens, witness to the regal march, as the town looked on. The procession started post noon and went on till sundown, until it reached the huge public grounds of Banni Mantap. 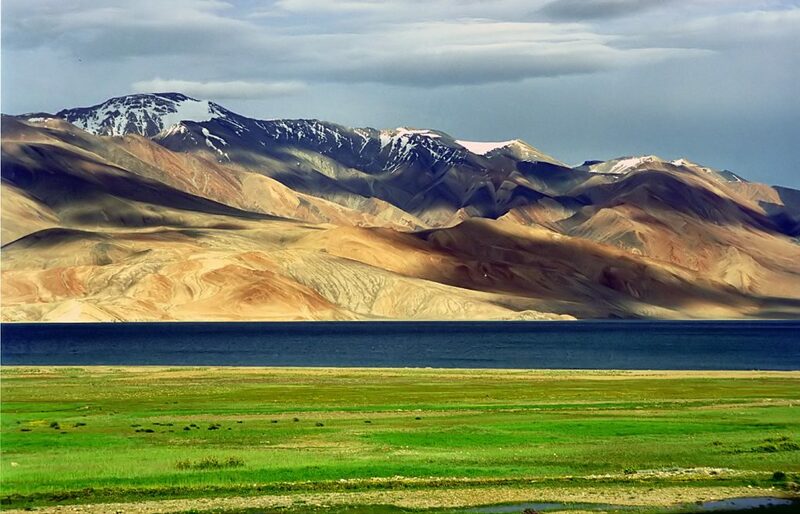 This is where the entire festival culminated in a spectacular climax with the burning of a larger-than-life size effigy of Ravana. I had seen quite a few Ravana Dahan ceremonies in my life, but Mysore’s take on this mythological ritual was not just unique but grand beyond conceivable proportions. Although I was away from friends and family for Dussehra, the city of Mysore gave me an opportunity to witness one of the grandest celebrations of the festival that, to this day, remains unparalleled in my memory. I booked a cab from Mysore to Bangalore airport and prepared to bid adieu to the city I had reluctantly fallen in love with. 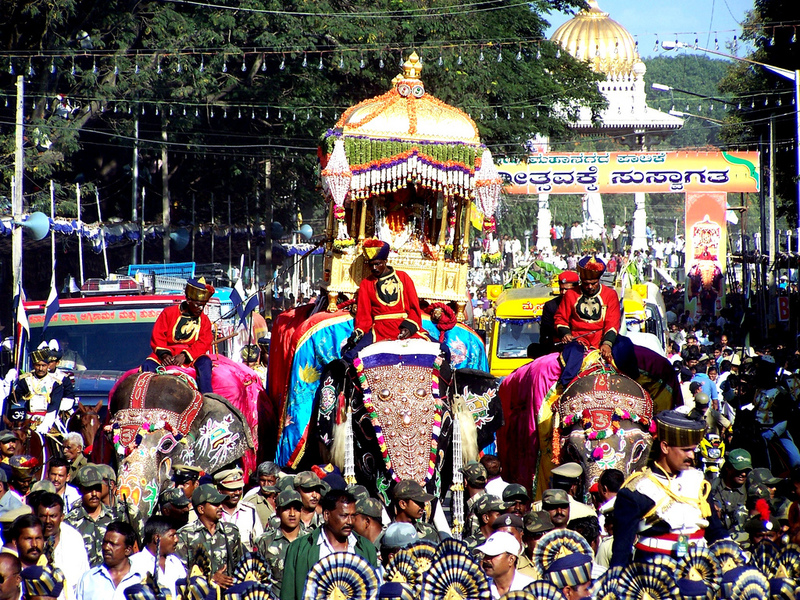 The Mysore Dasara is one of the grandest celebrations of the festival in the country. 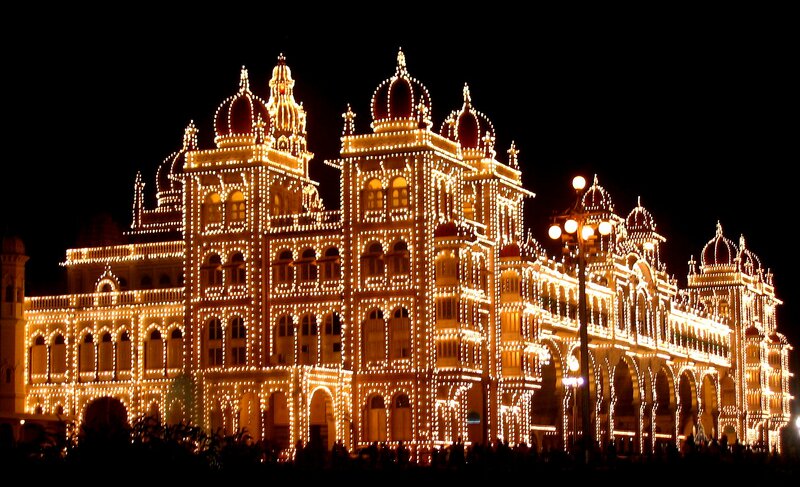 From the fabled Jambu Savaari to the Royal Durbar, the Mysore Dasara is truly spectacular.